In a traditional workflow of exchange, transaction happens only after trust building which includes exchanging significant documents that assure both parties of its entire uniqueness. However, in this generation of continuously developing technology, how can assurance be digitized? Nowadays, we call it the “blockchain”. The transition of incorporating artificial intelligence from manual processing, has made an impact in producing and gathering information with accuracy in a speed of lightning. Technology has become a vital source of progress and information exchange especially in the field of Accounting. While RPA changes the way you handle your business by giving you automated processes, how can an E-leader use its potential to maximize its benefit and provide an effective strategy from the start up to its implementation? Here are some insights on how to get you started. 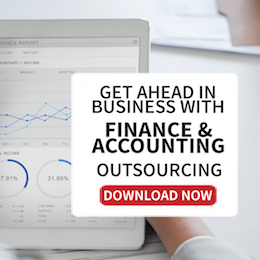 Outsourcing Finance and Accounting: Are you ready to let go? 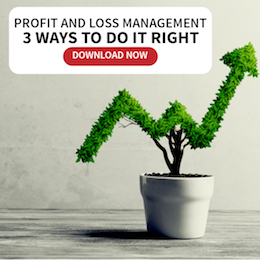 If a business leader has opt to outsource its resources for finance and accounting, what could possibly be the points to consider if the company is ready to work with a third-party organization? Here are the following tips to successfully determine a customized service deal. As an executive, keeping an eye on the underlying factors that drive changes in the industry can help you decide on what suitable steps can be taken to provide a clear customer-led and cost-efficient strategy for your business. Here are some factors that may influence your business. More and more accountants are performing higher skills, rather than the manual ones most did during the analog age. OCR will help accountants and analysts focus on the more technical aspects of their jobs while also introducing more accuracy and precision into mechanical tasks. Here are some benefits in using optical character recognition in any finance endeavor. The financial industry and finance roles continue to evolve at a rapid pace thanks to speedy technological advancements. From leveraging on machine learning to addressing Cyber Security threats, here are three big trends to watch out for in 2017. Profit-oriented businesses and non-profit organizations use two different accounting methods to track, record, and report their financial performances depending on their purposes and goals: the traditional business accounting system and the Fund Accounting method. Whether a company chooses to include non-GAAP earnings in its financial report or not, the most important thing to take note of is the accuracy and transparency in how the company presents its financial statement. 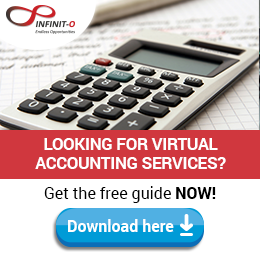 Copyright 2013 © Infinit Accounting. Infinit Accounting is made of highly qualified professionals, finance experts and Certified Public Accountants, with years of experience up their sleeves. We are ISO 27001:2005 certified, and also Sarbanes-Oxley and GAAP compliant. For more information about our finance and accounting outsourcing services, call us at (866) 727-2504 x410 or inquire through our contact form.